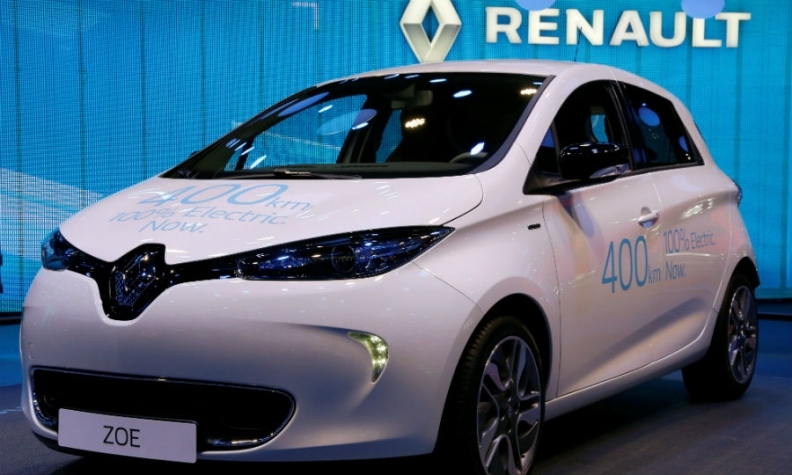 Renault has just launched an updated Zoe EV with a 400 km range. DAVOS, Switzerland -- Renault-Nissan has sold more than 400,000 electric cars globally and is planning further investment to maintain its market lead, the alliance's CEO Carlos Ghosn said. Ghosn disclosed the figure during an interview with Reuters on the sidelines of the World Economic Forum in Davos. "We are going to increase investment, we are going to have lot of new cars coming, better batteries, better performance, lower prices," Ghosn said on Wednesday. Nissan's Leaf kicked off the contemporary crop of battery-only cars, joined two years later by alliance partner Renault's Zoe, a hatchback subcompact. "We announced eight years ago that there is no way this industry is going to survive without electric cars. Electric cars are part of the future. The only question is how fast they will be a major contributor to the industry," Ghosn said. The Franco-Japanese alliance said in September it had sold 350,000 electric vehicles since December 2010, when the Leaf first went on sale. "We are today the leaders in EV. We have sold more than 400,000 EVs globally and we intend to keep this leadership," Ghosn said.